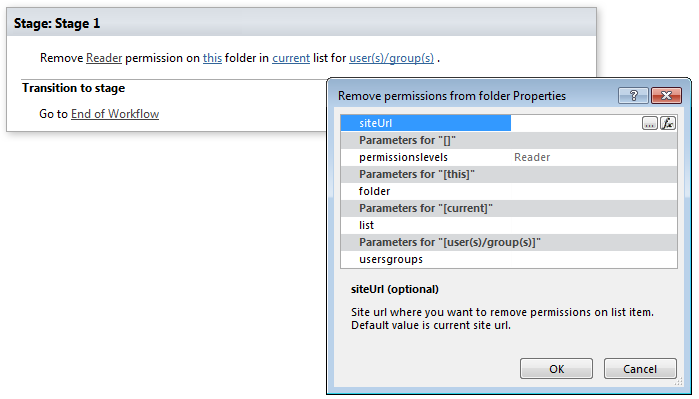 Remove Reader permission on this folder in current list to user(s)/group(s). User(s)/group(s) User login, e-mail, group name, group ID “user\@domain”, “domain\user”. It allows multiple values separated by a semicolon.